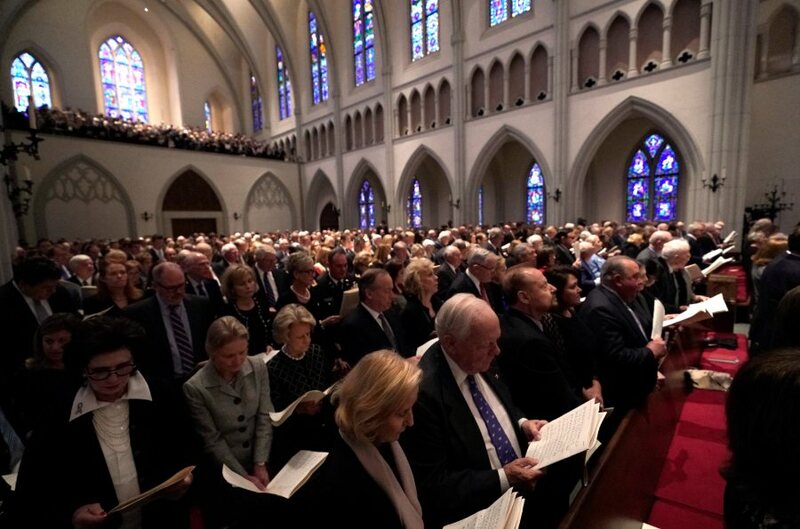 Family and friends attend a funeral service for former President George H.W. Bush at St. Martin's Episcopal Church Thursday, Dec. 6, 2018, in Houston. Once again, we the people turn out in numbers for what and whom we value. The Media scrambles to catch up, assiduously reversing themselves as they go.